f players of The Strong Class are provided with tools to solve problems through application of direct, physical force and The Deft instead must utilize more discrete/indirect methods (via attunement, etc. ), then The Cunning Class is to The Wise as The Deft is to The Strong. Miracles could be said to provide the faculty to address challenges by direct, meta-physical force. The Cunning Class is typically much more subtle with their application of the inexplicable. Cunning characters may write their Vocation Group next to two different attributes in order to receive double-positive rolls on either attribute when undertaking tasks associated with their Vocation. When participating in Auctions, the d6 rolled by The Cunning is double-positive. The Cunning are known for their clever schemes and plans, always staying a step ahead. Although similar in effect to Miracles, manifestations of The Cunning’s abilities could easily be attributable to perspicacious preparedness, simple serendipity, or in some cases the fickle finger of Fate herself. They do not usually have an associated HP cost to use but are often not as dependably predictable or pragmatic as a Wise’s Miracles. To play a Cunning character, you will need some additional accouterments. A set of Scrabble™ tiles, their pouch-home, and one of the racks that are used to hold the letters. At the start of play, draw seven (7) tiles and place them in the rack. Use these to form words or even simple phrases. These words or phrases can be evoked in play via negotiation with the Referee. Having an applicable Vocation, Affiliation, or even Species Groups can help here. The overall intent is that effects evoked by the words should remain subtle and almost incidental whenever possible. If Miracles are the player bending reality to fit their whims, then the effects of these words are more akin to reality subtly molding itself around the player's caprices. Drawing the letters WKPUNSK for instance could form the word “SKUNK” which a Cunning Woodsman could conveniently interrupt a group of Goblins arguing in the woodland clearing ahead. The word “SWORD” could potentially be used to allow a disguised Cunning Buccaneer to produce one on their person (if one could be feasibly concealed/acquired earlier) or even potentially cause the grip of their assailant on the hilt of their blade to slip (requiring a ST), etcetera. Once the word has been used, the player should make a note of the word and their level, then return these tiles to their pouch and draw new ones to bring the total tiles back up to seven. Nouns are generally the most efficacious, and verbs intended to manipulate the actions of another entity may engender a ST by the target. In addition, particularly potent or inconceivable effects could always necessitate an HP cost or ST at the Referee’s discretion. Objects manifested through the use of these words generally do not last in a useful form longer than a day unless The Cunning assigns them to a Slot. Slots for this Class can also be used to “Bank” words for later, allowing the character to save a word from their tiles and for later use and immediately draw a new letters to expand their options. The letters forming the word are set aside, and new ones are drawn to bring the total back up to seven. The Slot is considered filled until the "banked" word is used, at which time the player may choose to either keep the word "banked" or free the Slot and return the tiles. As mentioned above, whenever a word is used, it should be written down on the character’s sheet, along with their level. No word may be evoked more than thrice in a given level. If a Cunning character happens to BINGO (form and utilize an applicable word using all seven tiles), the Referee should feel free to grant them XP equal to the point cost of the tiles and is encouraged to exercise generosity with the effects magnitude (inapplicable to "banked" BINGOs). 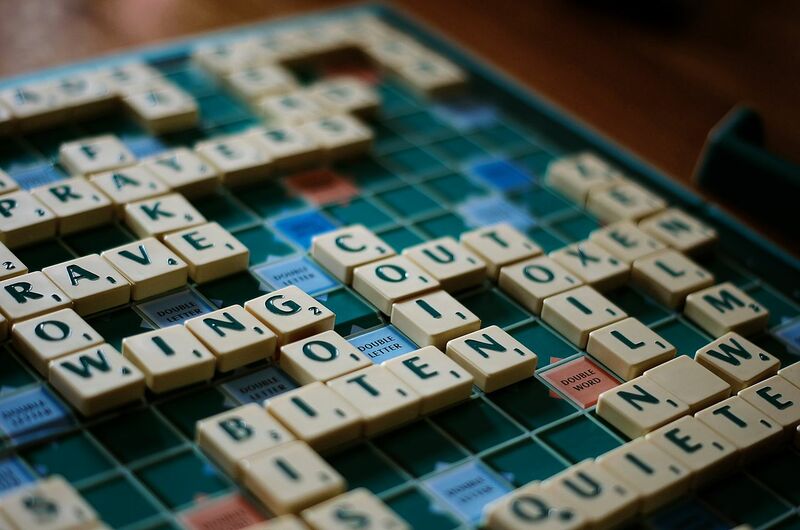 If a situation occurs where a Cunning character cannot form a usable word, the Referee may also allow them to share their tiles with the rest of the players, and any player that comes up with an applicable word that ends up being used in play can be awarded its point value in XP and could also derive a specific minor benefit as reality also temporarily shapes itself around them. The occasional mulligan and complete re-draw of a rack should also be permitted if even the Referee is stumped. Cunning characters may use any weapon, but armor heavier than chain is only permitted by those with a Combat oriented Vocation. While wearing heavier armors, The Cunning's Vocation is limited to only one attribute, and they do not receive their Auction benefit. Also in the Pipeline: The Charming (solving problems through direct, social means using Slots for mutable affiliations and combat versus Social Armor Class) and The Tough (when sometimes the only means of overcoming a challenge is to survive it).